Ever feel like you’re inviting the cold winter weather from the outside in – or letting your summer air conditioned comfort out? Home insulation can be an easy, quick, and cost efficient way to lower your energy bills and enhance your home’s comfort. Ask us for a FREE home insulation assessment, and our insulation experts will save you the energy of having to figure it out yourself. We will provide you with the right solutions and the right products to help save you money. 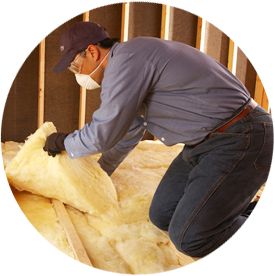 Bay Therm Insulation installs fiberglass and foam insulation, which can be installed in your Green Bay, WI area home’s attic, walls, basement and/or crawl space. Find out from a qualified insulation expert which areas in your home are losing the most energy due to insufficient insulation. Contact Bay Therm Insulation today to schedule your personalized home insulation assessment!